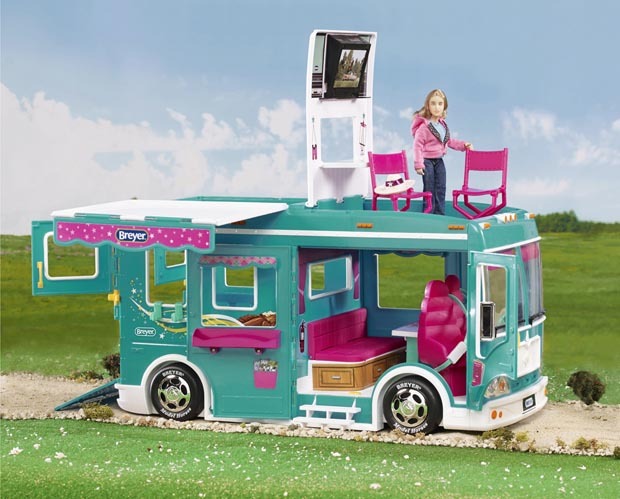 Now with an updated look, the Classics Cruiser is a child's dream vehicle, packed with incredible luxury features for hours of imaginative fun! 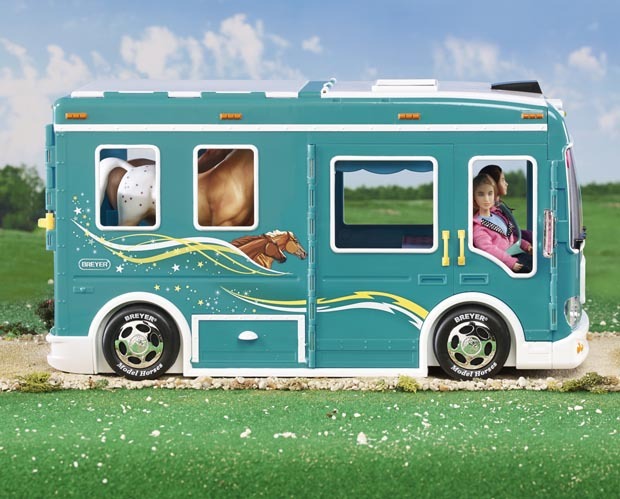 Featuring a snappy teal exterior and bright raspberry seating, this home-on-the-go ensures that Classics horses and riders travel in comfort and style. Two horse stalls with planked floors feature hidden storage for supplies underneath the floor! 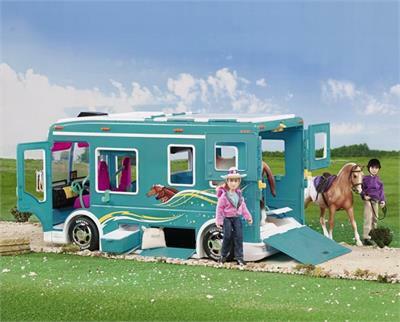 Horse and Accessories not included. Each Breyer Model Horses Classics Size is designed for authentic and imaginative play, offering younger collectors realistic model horses and excellent collectibility. Breyer Classics are created with the same care and devotion as Breyer's Traditional line. Breyer's Classics Size Models are sculpted 1:12 scale. Don't forget to check out our selection of Classics Size accessories, perfect for imaginative play. The accessories in this Classics Size play set are interchangeable with most other Classics Size Breyer Horses for added play value. Jack's Country Store is a Blue Ribbon Level Breyer Model Horse dealer. We have been stocking Breyer models since 1994. 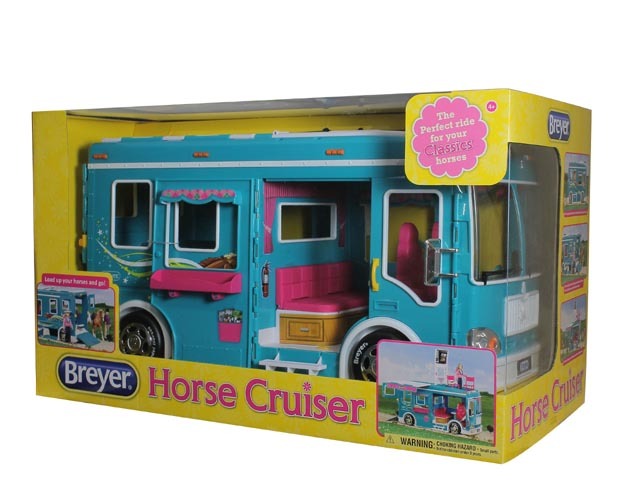 All of our Breyer Models and Accessories are sold brand new, in original, un-opened packages.